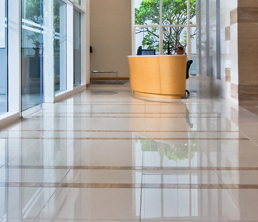 Protect the floors in your business with the floor coverings from Vale Painting in Tulsa, Oklahoma. When it comes to redoing floors, we go the full distance for our clients. For an added protective barrier, we put down a no-skid material called Shark Tooth™. This helps ensure people do not slip and fall. Request installation services for our resilient floor coverings from us in Tulsa, Oklahoma.